Greece is known to be have very friendly & fun people! If someone knows how to have a good time, it’s the Greeks! And they know how to drink! This country has many famous drinks that are made in many different parts of it. The most famous one of all, is Ouzo. Made mainly from aniseed. The best way to drink it is with ice so it can turn into a deep white color, to contrast with the deep blue sea for your perfect summer pictures! Greeks usually serve it with a meze, a plate with different greek-style finger food. Another well known Greek drink mainly made from raisins and herbs. It’s a combination of koniak and wine. Strolling around the city you will probably see older people drinking this. From the island of Chios, where it’s full of mastic trees. A classic Greek drink, chilled and in a shot glass! It’s considered the nectar of Crete! The most famous drink from the largest island in Greece, the people there consider it rude for you not to have a glass when they offer it to you. Made from grapes boiled in a special cauldron. You might also hear it called Tsikoudia. In a shot is the recommended way to drink it! Similar to Raki. The only differences are that it’s considered to be from Mount Athos, located in the northern part of Greece, and in the way it’s boiled. Again, a shot is the best way to enjoy it! Athens has many great bars that serve all these great drinks, and a great place to stay is right in the center of the city, at AthenStyle. Book for a cheap hostel, or a private room at a low price. 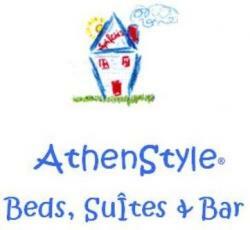 Head on over to http://www.athenstyle.com to make your booking!